Amy Bloomquist is an experienced, board certified Texas Estate Planning, Probate and Wills and Trusts Attorney who provides legal services of exceptional quality in a non-intimidating environment for a reasonable price. It's never too early to begin planning for your future. At the Austin, Texas law office of Amy Bloomquist, we have been assisting individuals and families in Austin and throughout Central Texas with estate planning, probate, wills, trusts and other legal matters for more than 17 years. Amy Bloomquist has been practicing law for more than 26 years, however, and has been Board Certified in Estate Planning and Probate Law by the Texas Board of Legal Specialization since 1996. She is also a licensed CPA in Texas. Her extensive experience and knowledge of Texas law provide our firm with a clear perspective on your situation that is vital to getting you the results you desire. The knowledge you need by your side. The characteristics of the law practice of Amy Bloomquist include: Experience: Amy has been serving clients in Austin and throughout Central Texas for more than 25 years. She has the knowledge and experience necessary to make recommendations and to help you minimize conflict, reduce or eliminate taxes and other expenses, protect your assets and get you other positive resolutions with regard to your estate planning, wills, trusts and probate matters. Extensive accolades: Amy Bloomquist is board certified in Estate Planning and Probate Law by the Texas Board of Legal Specialization. In addition, she has been recognized as a Five Star Wealth Planner by Texas Monthly since its inception and has received the AV Preeminent Peer Review Rated by Martindale-Hubbell for her professionalism and ethics for more than 15 years. 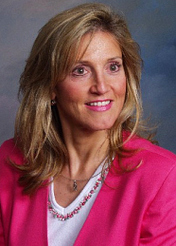 She has been a Certified Public Accountant in Texas since 1988. Focused practice areas: Amy Bloomquist focuses primarily on the interrelated areas of estate planning, wills, trusts and probate cases. This allows her to concentrate on and perfect her craft to best serve our clients' needs in these areas. A focus on your future: At the law office of Amy Bloomquist, our entire staff is dedicated to helping clients with their legal matters related to estate planning, such as Wills, Trusts and, if appropriate, entity and succession planning. Such services can help you secure your legacy and ensure that you and your family enjoy the peace of mind that comes with having a plan for the unknown future that we all face. Our mission is to assist you in protecting your assets and family for the future. Probate: We can guide you or your loved ones to avoid probate or, if necessary, to go through the probate process after a difficult loss. Contact an experienced estate planning, probate and wills attorney today. Call the office at (512)328-5115 or (877)693-9992 or contact us online today to schedule a free one-hour initial consultation with a veteran attorney. Travis County (Chair, Estate Planning and Probate Section, 1993-1994) and American (Member, Section on: Real Property, Probate and Trust Law) Bar Associations; State Bar of Texas (Member, Sections on: Taxation; Real Estate, Probate and Trust); Austin Young Lawyers Association; Estate Planning Council of Central Texas (Director, 1993-1995; President, 1999-2000); Texas Society of Certified Public Accountants (Chair, Advanced Estate Planning Conference Committee, 2001-2002); Texas Aggie Bar Association, Texas A&M Planned Giving Council, Texas Bar Foundation. Beta Gamma Sigma; Tau Kappa; Beta Alpha Psi. Certified Public Accountant, Texas, 1988. Director, Austin Lawyers and Accountants for the Arts, 1987-1993 (Secretary, 1990-1993).